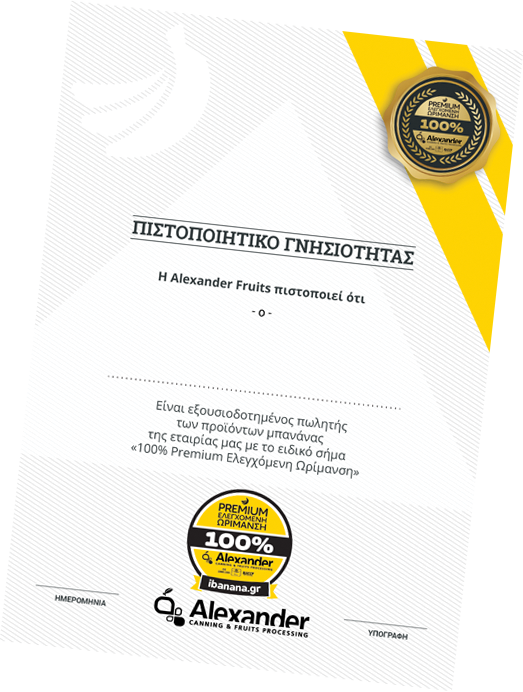 Alexander, over the past years, has been transformed into one of the best Greek companies in the field of banana ripening. Our bananas are carefully selected and imported from Ecuador, Colombia, Costa Rica, Panama and Mexico in collaboration with the best banana brands in the world such as Chiquita, Dole and Fyffes. 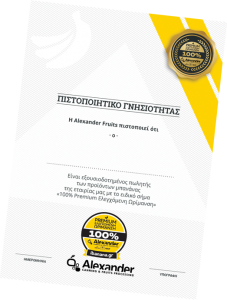 Our state-of-the-art banana ripening chambers offer the best possible ripening conditions in the Greek market and as a result our bananas are distinguished by rich taste and aroma as well as by long shelf life.